A brilliantly organised national event with an informative programme & expert speakers- journalists, writers, commentators, comedians, campaigners & digital experts. Thought provoking (and refreshingly sweary) opening session on how technology is shaping what we do, how we do it, and how we think. Does technology change the way we think? Facebook was 10 years old earlier this year, this means in less than 8 years time there will be physiotherapy students who do not know a world without social media. Even sooner than that there will be children and young people accessing services for whom touchscreens and mobile apps are intuitive- given the ease with which my 3 year old uses an iPhone I suspect this is already happening. Are physiotherapy and health services ready for this? Does technology change the way we think about healthcare services? The Facebook generation isn’t 10, 20 years away it’s here now: it’s me, my friends, family and colleagues. It’s now 10am and so far I’ve caught up on emails, exchanged tweets with a few physios and students about influencing changes in practice, read today’s headlines, ordered groceries for the week, and booked a couple of work meetings. I did all of this on my phone. I have also spent over half an hour rummaging around for a paper NHS appointment letter I miss-filed 3 months ago. Technology isn’t just changing the way we think it’s changing our expectations about immediacy of information and response, and the challenge for physiotherapy and healthcare is to keep up with this. How can we use technology to improve services? Can we use gamification more in rehabilitation? What gets in the way of us using technology more? Lots of questions! Hopefully you’ll have lots of ideas on twitter & by commenting below. 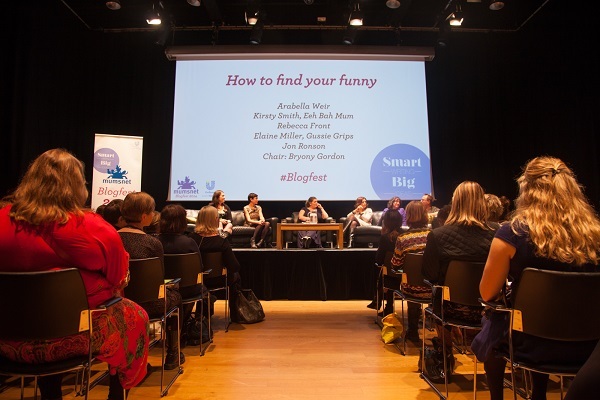 Lastly, Blogfest really reinforced for me the enormous power of social networks like Mumsnet in connecting, forming & mobilising virtual & real life communities to provide peer support, inspire creativity and to influence and achieve change. So, my question to you is: how do we do the same as a profession- locally, nationally and internationally? How do we harness social media in 2015 to mobilise people who are passionate about physiotherapy, and also those who are disenfranchised or disengaged? How do we make the most of physiotherapy disruptors, heretics, radicals and mavericks and help stop the profession “sleepwalking into obscurity“? This is something we’re hoping to discuss more during our last #physiotalk of the year on the 22nd December. So, there we go, opportunities to learn, network & be inspired are all around us and often don’t say physio or healthcare on the tin. Great feedback and thanks for sharing.